Peasant is a member of a traditional class of farmers, either laborers or owners of small farms. Its plural form is peasants. 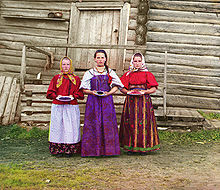 Peasants form the main labor force in agriculture and horticulture. It also means a country person, an uncouth, crude or ill-bred person. My wife was the first art collector in the family, and I didn't become interested until around 1973. The first important artwork we bought was a Van Gogh drawing of two peasant houses in Saintes-Maries-de-la-Mer. My wife was the first art collector in the family, and I didn't be|come interested until around 1973. The first important artwork we bought was a Van Gogh drawing of two peasant houses in Saintes-Maries-de-la-Mer. If ever there was a slamming of the door in the face of constructive investigation, it is the word miracle. To a medieval peasant, a radio would have seemed like a miracle. There aren't many great passages written about food but I love one by George Millar, who worked for the SOE in the second world war and wrote a book called 'Horned Pigeon.' He had been on the run and hadn't eaten for a week, and his description of the cheese fondue he smells in the peasant kitchen of a house in eastern France is unbelievable. I grew up in a family of peasants, and it was there that I saw the way that, for example, our wheat fields suffered as a result of dust storms, water erosion and wind erosion; I saw the effect of that on life- on human life. - Mikhail Gorbachev. I have drawn into myself so much that I literally do not see any other people anymore-- excepting the peasants with whom I have direct contact, since I paint them. I grew up in a family of peasants, and it was there that I saw the way that, for example, our wheat fields suffered as a result of dust storms, water erosion and wind erosion; I saw the effect of that on life- on human life. As farmers or owners, the poor peasants possess a piece of land. The excellent means of transport enables them often to sell their goods. At the very worst they can mostly provide their own food. - Herman Gorter. Herman Gorter, in "Herman Gorter, Open Letter to Comrade Lenin, 1920"
Like medieval peasants, computer manufacturers and millions of users are locked in a seemingly eternal lease with their evil landlord, who comes around every two years to collect billions of dollars of taxes in return for mediocre services. to do things. They know how things work. what's going on, and we can't do anything. Patton was living in the Dark Ages. Soldiers were peasants to him. I didn't like that attitude - Bill Mauldin. In verity we are the poor. This humanity we would claim for ourselves is the legacy, not only of the Enlightenment, but of the thousands and thousands of European peasants and poor townspeople who came here bringing their humanity and their sufferings with them. It is the absence of a stable upper class that is responsible for much of the vulgarity of the American scene. Should we blush before the visitor for this deficiency? We forgave, followed and accepted because we liked the way he looked. And he had a pretty wife. Camelot was fun, even for the peasants, as long as it was televised to their huts. 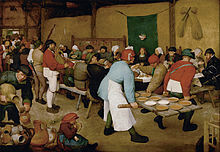 Today the large organization is lord and master, and most of its employees have been desensitized much as were the medieval peasants who never knew they were serfs. Only in America do these peasants, our mothers, get their hair dyed platinum at the age of sixty, and walk up and down Collins Avenue in Florida in pedal pushers and mink stoles / and with opinions on every subject under the sun. It isn't their fault they were given a gift like speech / look, if cows could talk, they would say things just as idiotic. The benefit of rich families putting their child through Harvard is always going to exist. But it's quite evident that there are 700 million peasants in China who are never going to go to Harvard. - Michael J. Saylor. Scratch a Russian you'll find a Tatar. Scratch a Russian worker and you'll find a peasant. The benefit of rich families putting their child through Harvard is always going to exist. But it's quite evident that there are 700 million peasants in China who are never going to go to Harvard. After we passed a few more houses, the street ceased to maintain any pretense of urbanity, like a man returning to his little village who, piece by piece, strips off his Sunday best, slowly changing back into a peasant as he gets closer to his home. In the middle classes the gifted son of a family is always the poorest - usually a writer or artist with no sense for speculation - and in a family of peasants, where the average comfort is just over penury, the gifted son sinks also, and is soon a tramp on the roadside. Every marriage tends to consist of an aristocrat and a peasant. Of a teacher and a learner. -John Updike. Writers in farm village of Mo Yan. I heard so many stories from Gaomi's peasants that I had an irrepressible urge to write them down. Today, Gaomi's peasants know that they have become famous around the world through my writings, but I think they are a little puzzled by this. There is a serious tendency toward capitalism among the well-to-do peasants. This tendency will become rampant if we in the slightest way neglect political work among the peasant during the co-operative movement and for a very long period and after. This page was last edited on 14 May 2018, at 17:22.